We had a wonderful stay in Muckno lodge with a large party. Everything was clean and well presented and Fiona could not have been more helpful, even coming out during a storm to help fix the WiFi! House was lovely and warm even though it was very cold outside. 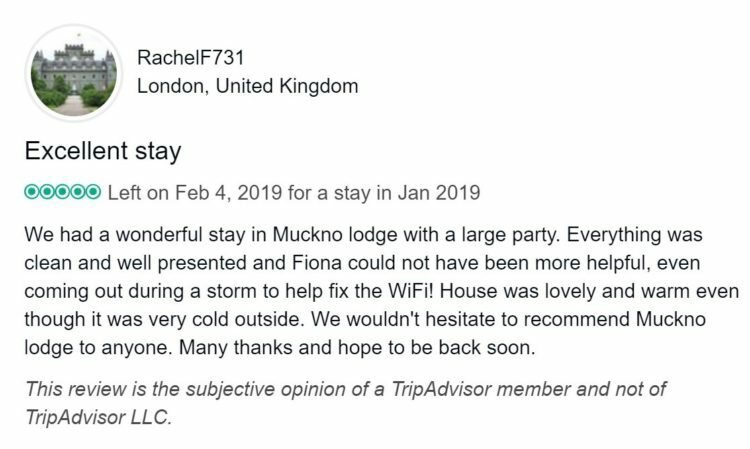 We wouldn’t hesitate to recommend Muckno lodge to anyone. Many thanks and hope to be back soon. Review Nov18 – A peaceful stay with some wonderful sunrises! Review Aug18 – Awesome….we will return! At Muckno Lodge we pride ourselves on providing charming and luxurious 4 star Failte Ireland approved Self Catering accommodation in the beautiful countryside of Castleblayney, Co. Monaghan.